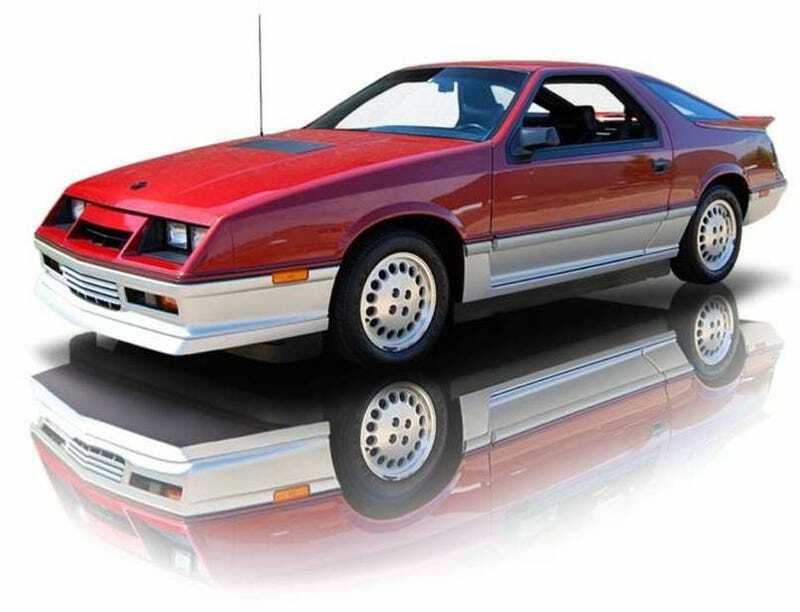 Nice Price Or Crack Pipe: The $25,000 Dodge Daytona Turbo Z? Yesterday, 68% of voters felt that $129,900 was too much to pay for a 4-year-old lemon-law-buyback Maybach 57, which is doing pretty well according to the harsh standards set by Nice Price Or Crack Pipe. Today we'll be considering a super-low-mileage, near-showroom-condition Dodge Daytona… but we're not talking about the kind of Daytona with the big wing and U-joint-bustin' V8. No, we mean the K-car-based Daytona Turbo Z, which is pretty much the concentrated essence of 1980s style. It's got lots of plastic body parts. It's got the word "Turbo" printed in multiple locations. It's got 142 factory horsepower, and this one's got just 2,021 miles on the clock! That's averages out at fewer than 85 miles per year! The seller has blatantly disregarded eBay car-seller tradition by using correct spelling, grammar, and capitalization, but he or she makes up for it by pointing out the "Star Power" of the car. Worth 25 grand? What do you think? [eBay Motors], thanks to DodgePolara500 for the tip! 25 thousand bucks for a pristine low-mile Dodge Daytona Turbo Z?